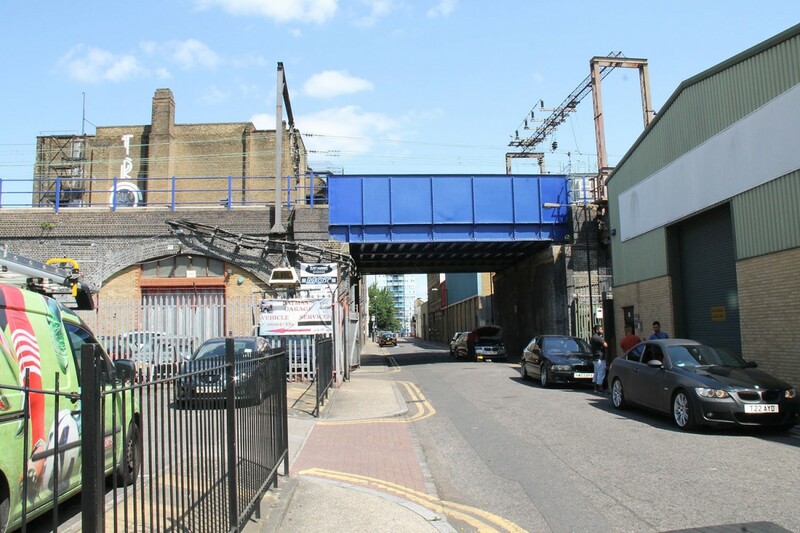 This regeneration scheme transforms a derelict site, formerly a lock-up storage facility. 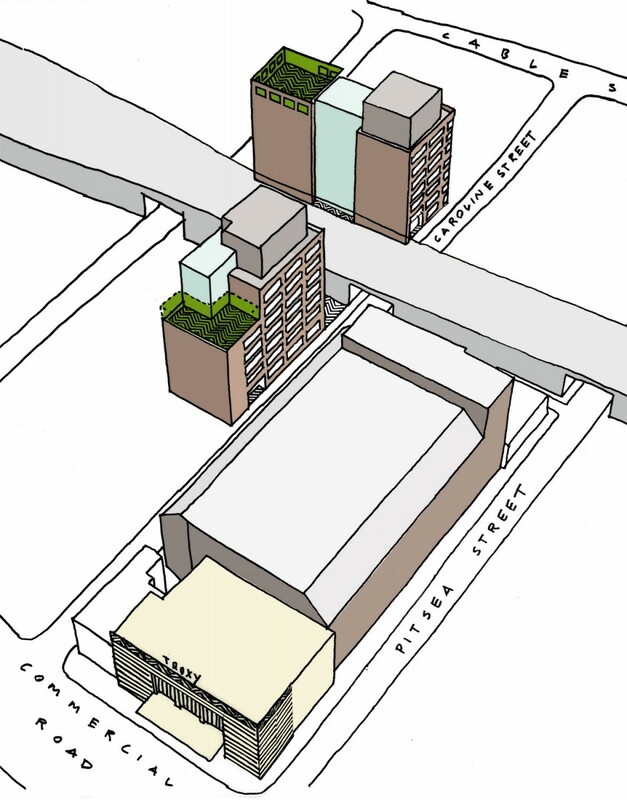 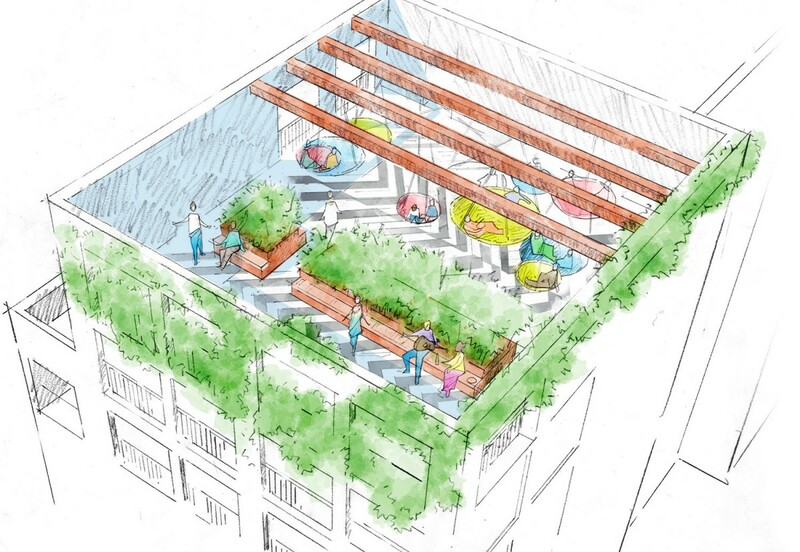 56 new homes will be created all of which will have access to communal rooftop gardens and courtyards. 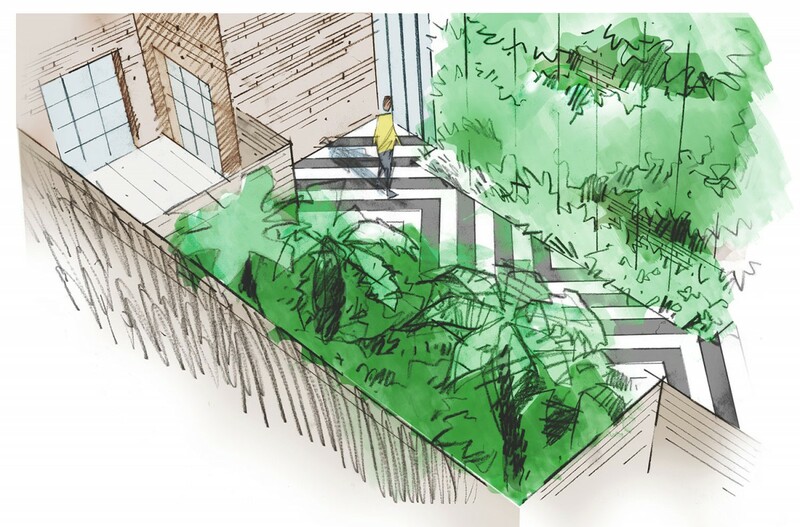 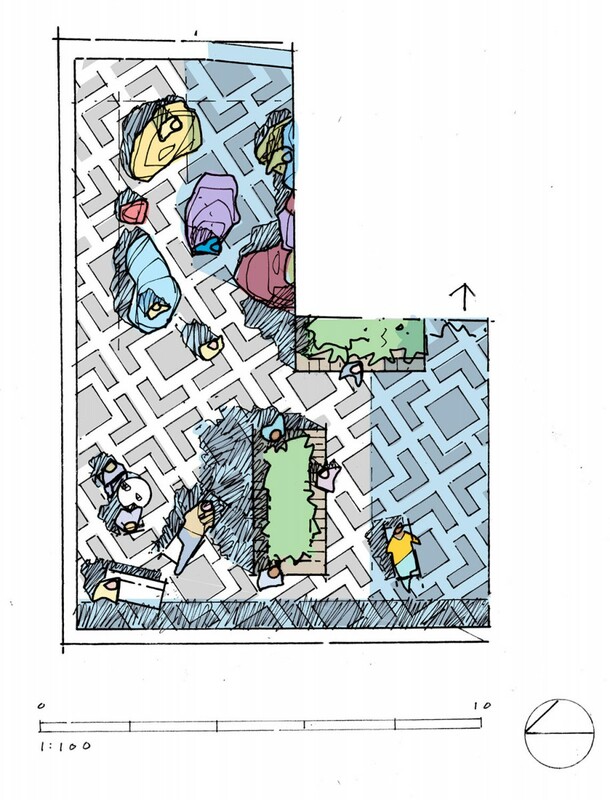 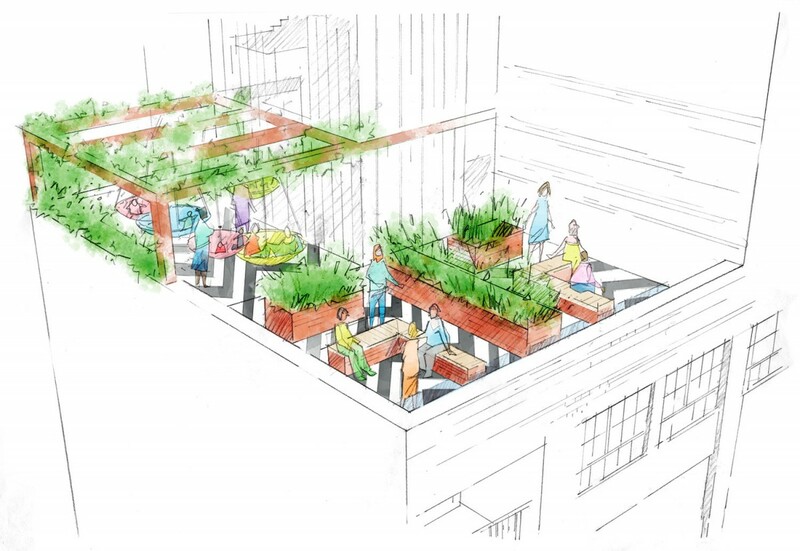 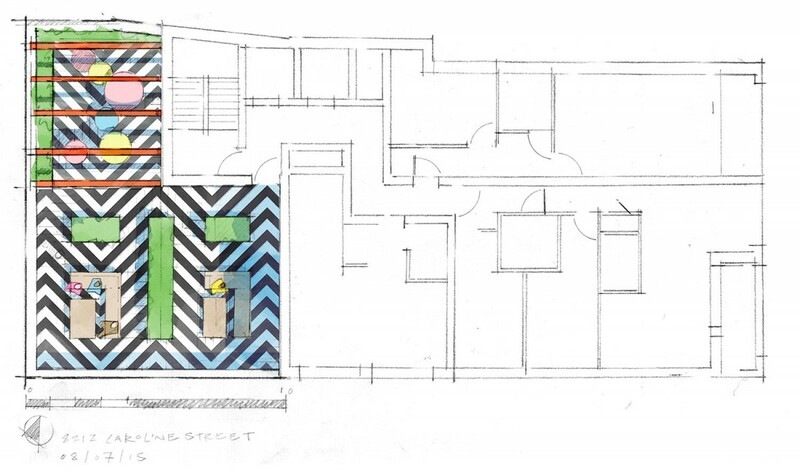 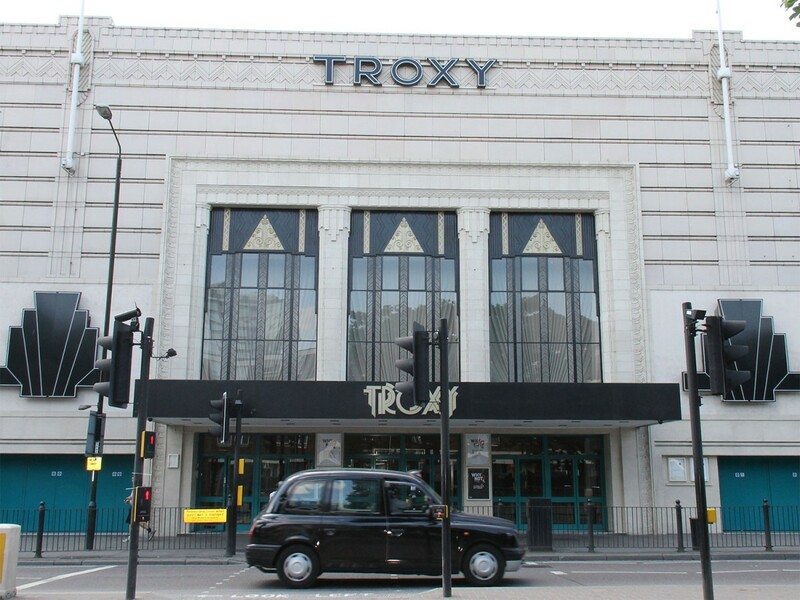 These spaces will feature geometric paving designs inspired by the adjacent, grade II listed, Art-Deco, Troxy Theatre; bespoke play equipment and seating areas framed by generous amounts of planting in raised planters. 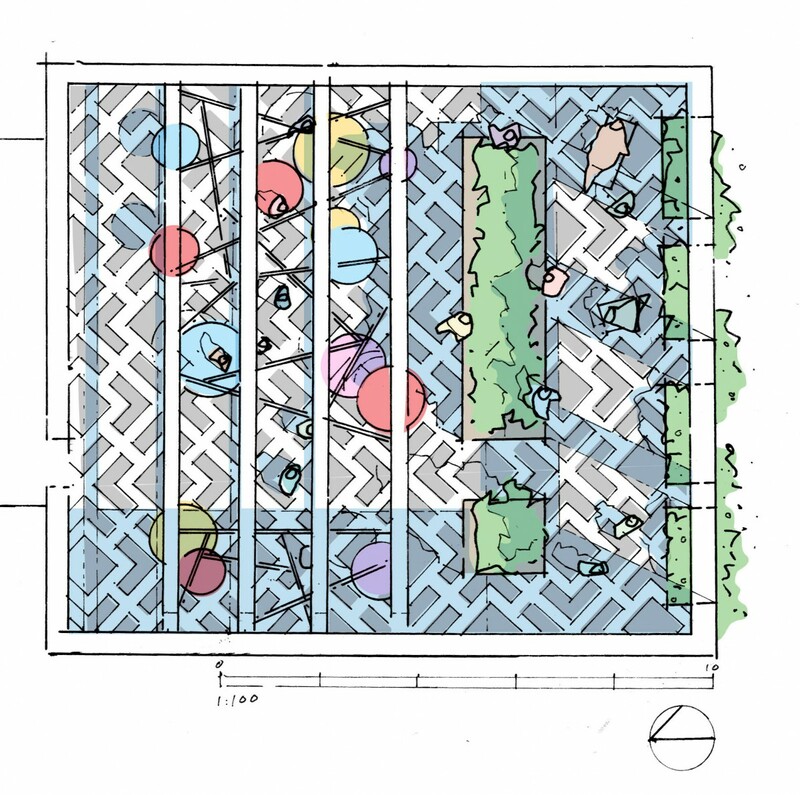 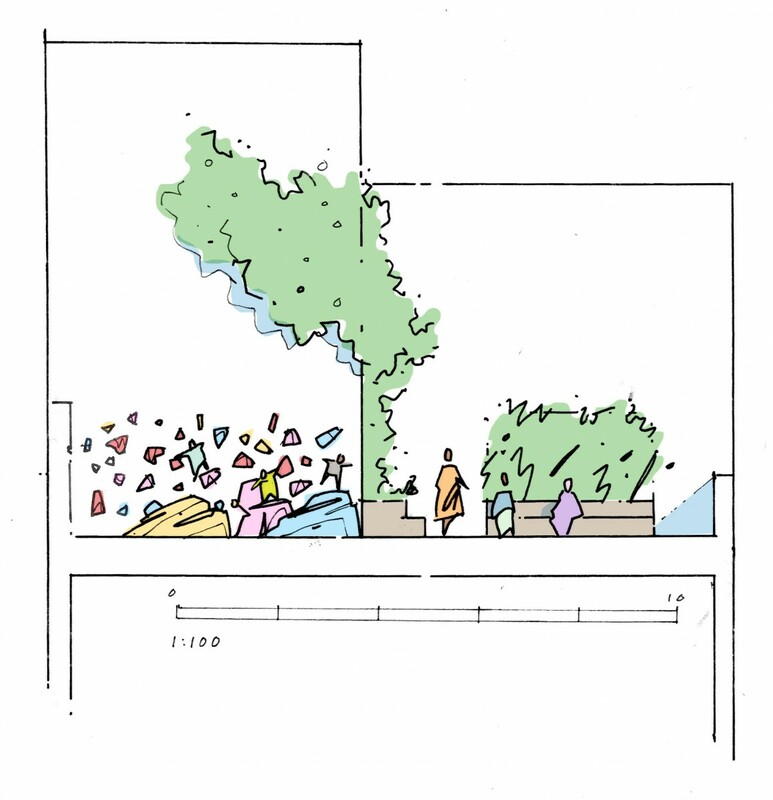 Ecology and sustainablity aspirations are well integrated: inaccessible roofs feature photovoltaic panels and biodiverse planting while the gardens and courtyards will feature bird boxes and hibernaculum.